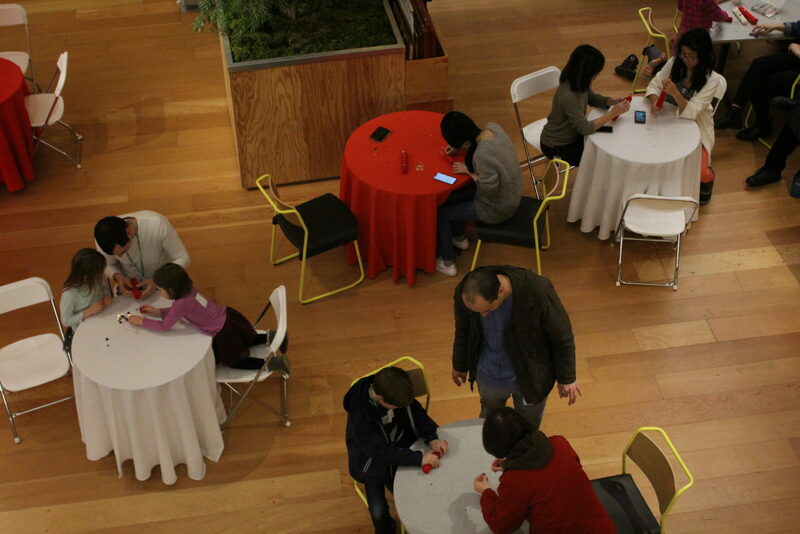 A Night of Cookie Decorating, Candle Making, and Friends from Frozen! It was a night of family, friends, and a whole lot of sugar! 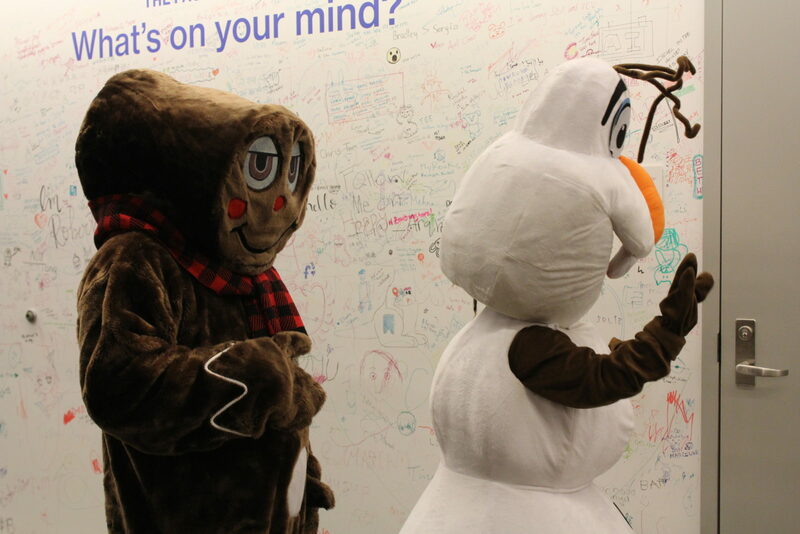 Facebook decked the halls with the Seattle Family Gingerbread Night on Wednesday, December 13th. 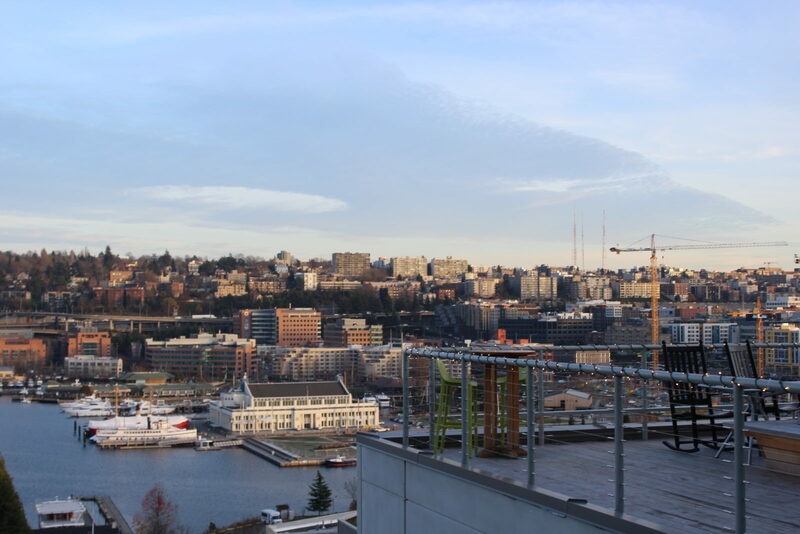 The event was held at their beautiful Seattle offices that overlook South Lake Union and the rest of the Seattle city skyline. 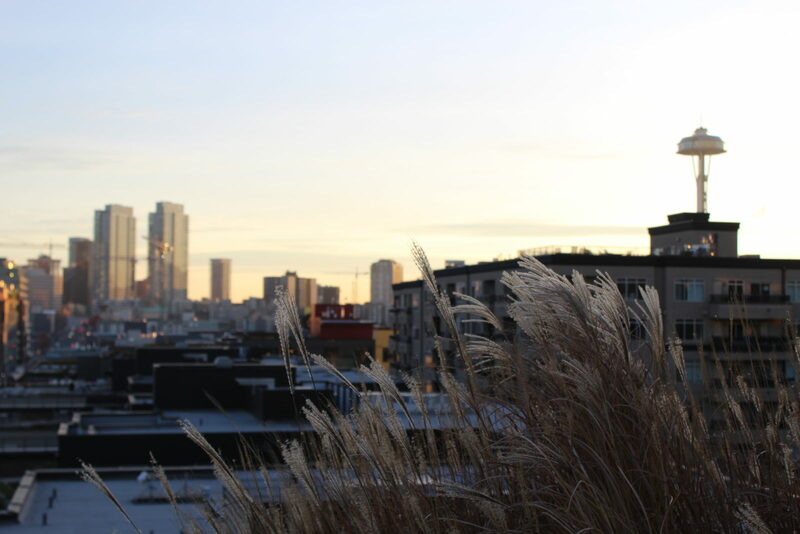 As the sun began to set and guests began to arrive. 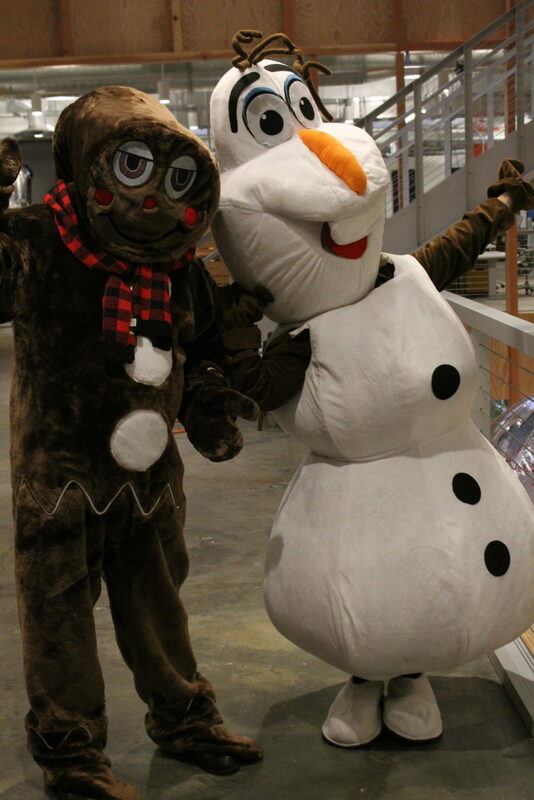 Two very festive characters decided to join the party as well! 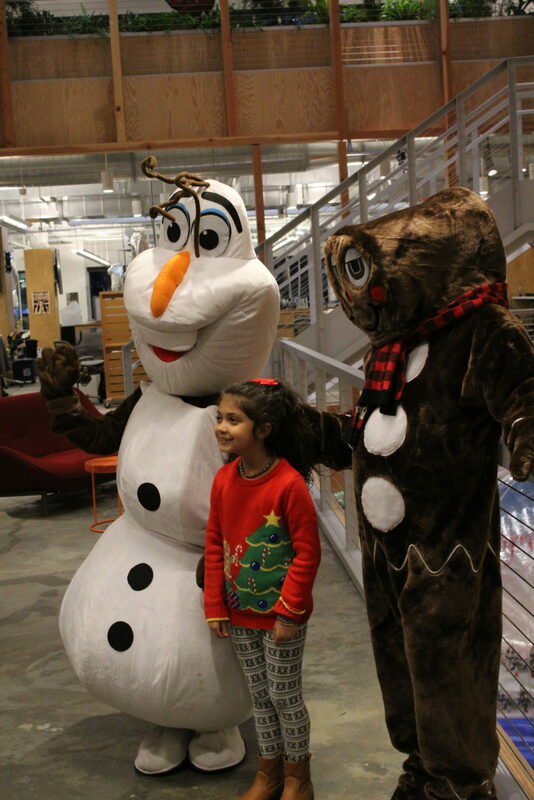 Guests were greeted with a decked out Gingerbreadman and his good friend, Olaf from the 2013, Disney Animated phenomenon, Frozen. As the festive characters joined the party they took pictures, chatted, and even played games and danced around with guests, the night proved to be one with lots of laughter, joy and many great photo moments with family and friends. There was not a shortage of laughter and then was definitely not a shortage of delicious treats and sweets for guests to decorate. 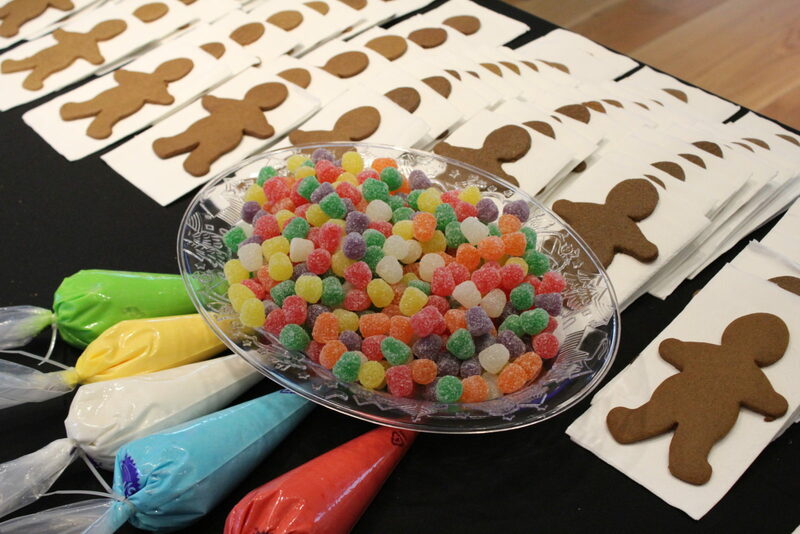 With cookie and gingerbread decorating stations sprinkled throughout the floors, guests could choose from decorating individual cookies to even constructing and decorating a full-on gingerbread house. 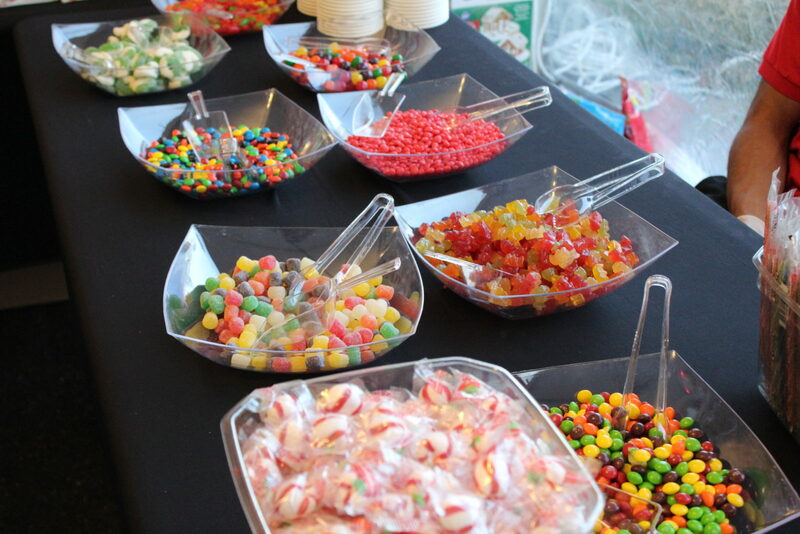 Big bright bowls of every candy one could think of were placed throughout the tables lined with various gingerbread and sugar cookies ready to be decorated. Guests and their little artists would spend hours crafting their edible works of art. From every color royal icing of the rainbow to every shape sprinkle, the sky was the limit for Facebook’s cookie crafters of all ages. 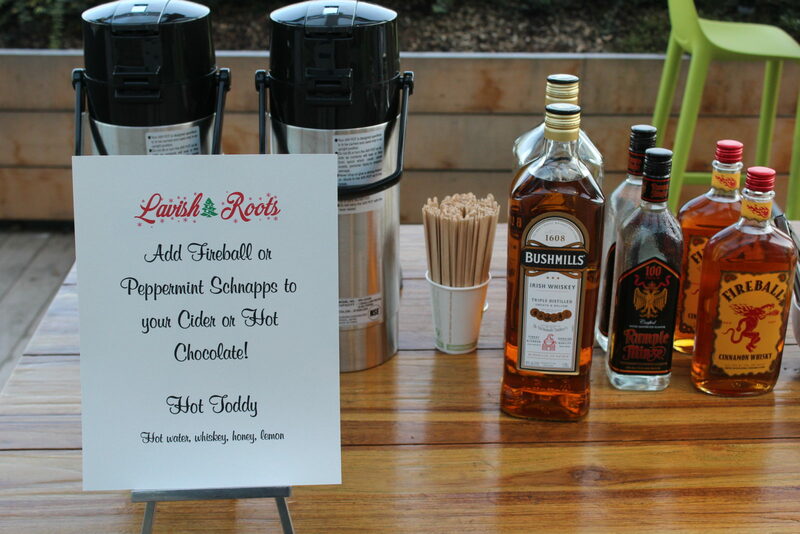 Of course with all the work decorating and designing cookies and gingerbread houses, there needed to be festive beverages to go with all of the sugary treats. 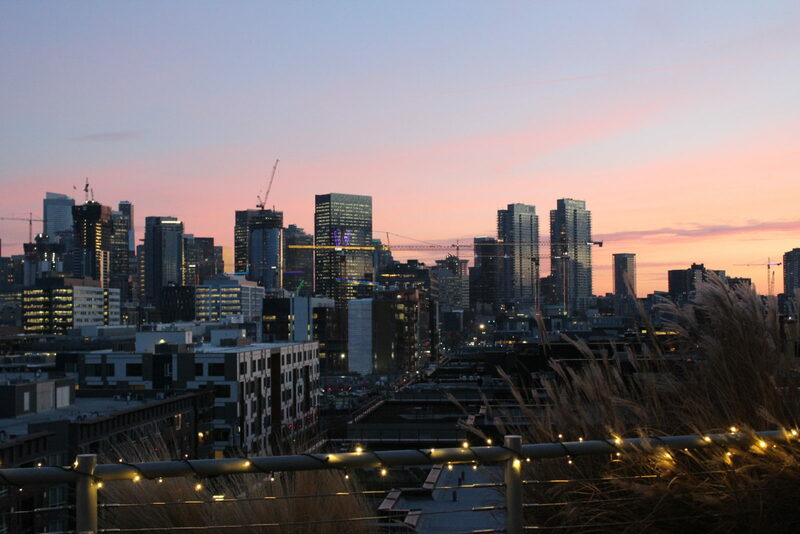 Upon the rooftop decks that overlooked the beautiful South Lake Union, adults could enjoy a festive beverage bar that served hot toddies, hot chocolate, and cider with a little bit of extra holiday cheer. 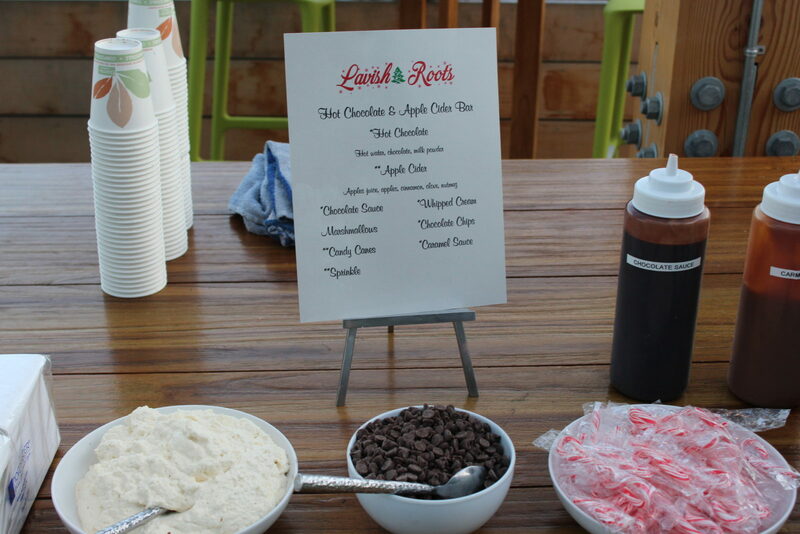 For those not of age, there were plenty of festive non-alcoholic beverage choices such as hot cider, and crafting the perfect hot chocolate with plenty of whipped cream, chocolate sauce, marshmallows, and sprinkles. 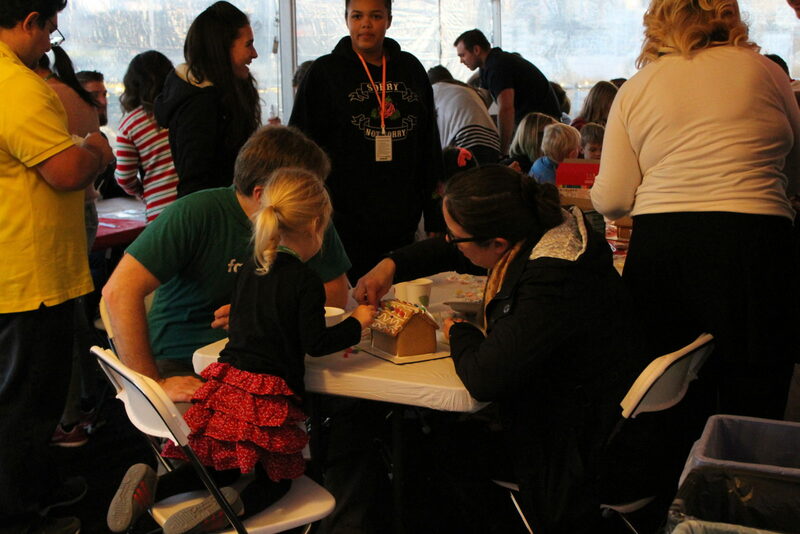 From Gingerbread cookies to Gingerbread Houses, there was no shortage of festive activities for guests and children to participate in. 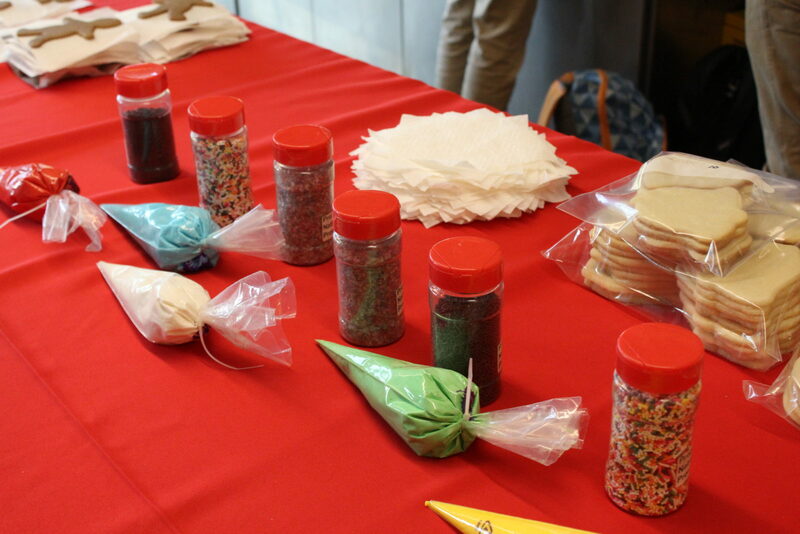 A few floors below the cookie creating, guests could enjoy music, food, and the opportunity to create their very own holiday candles. With holiday candles, cookies, and gingerbread houses to take home, the memorable evening was also filled with many holiday photo opportunities with families and loved ones as well! 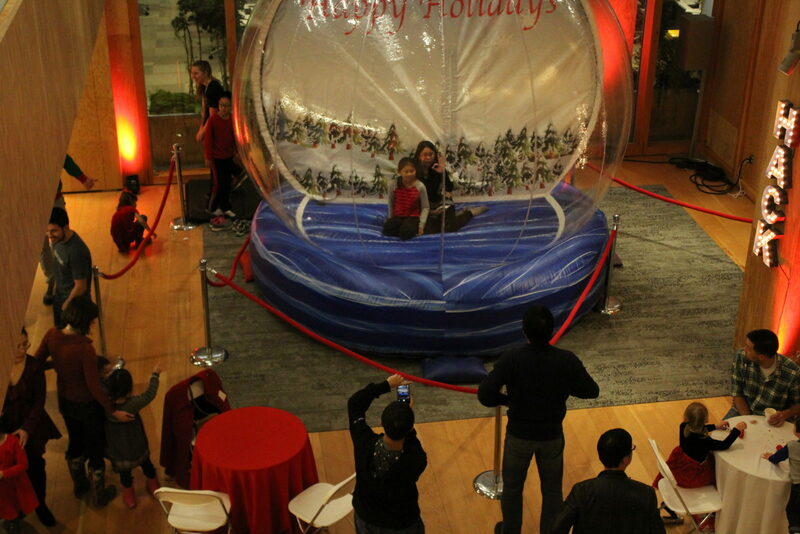 Guests could climb inside the giant inflatable snowglobe or visit the Facebook Holiday photobooth.